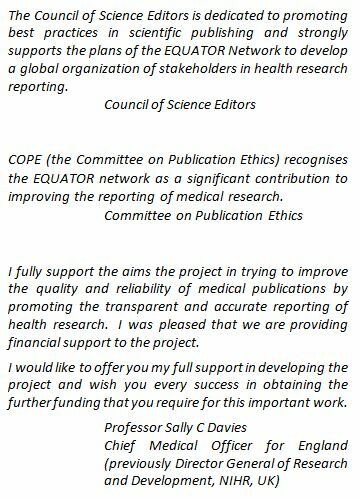 We encourage you to email us to express your support for transparent and accurate health research reporting and for the EQUATOR Network. Craig P, Dieppe P, Macintyre S, Michie S, Nazareth I, Petticrew M. Developing and evaluating complex interventions: the new Medical Research Council guidance. BMJ 2008;337:a1655.